As promised in one of my traffic/income stat’s comment, I’m writing the next two posts about how to ask for products to review. This is part 3 of “Why becoming a product reviewer is not as easy as you thought” series (which you can read at my Blogging Guides section). This post will focus on what you need to prepare before you even write that email (to ask for the products) and the next one (I promise I will publish it during the weekend and I’m not the type to break a promise!) will be about what you should write in the email. So you own a blog and you want to take the next step further, that is, asking for products to review from the big brands. 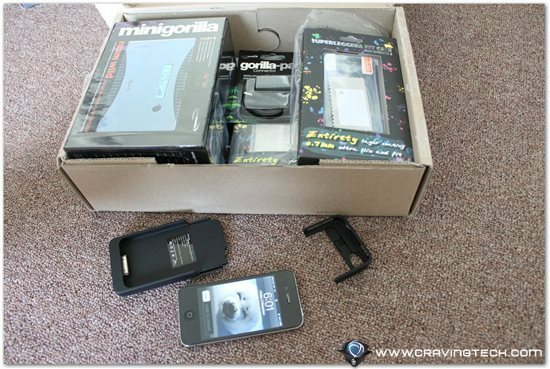 If you have been following my blog over the years, you must have already seen lots of consumer products being reviewed by me here at Craving Tech. How did I ask for the products to review? What happened behind the scene? How do you ask for products to review yourself? Is there a magic formula? Note: This is assuming you haven’t had any relationships with the brand or haven’t asked for products to review from them before. Things get easier (pretty much straight forward) once you’ve had that first breakthrough. First impression lasts. If your blog is new or not popular, it is important to give a good impression in terms of design and layout. Ask your friends and other bloggers about your blog’s design. Make sure everything is running fine and you don’t have tons of ads or annoying pop-ups. One of the feedbacks that I got from the review request replies was how they liked my blog’s layout/design. That should be one of the main concerns you need take care of first. Things such as having your own domain name, logo, branding, or non-free email address account helps although probably not too much. When I started to review my first products, this blog was still called “Michael Aulia’s blog”, I still used my Gmail account to send emails, and my logo was quite crappy. Nevertheless, I still could get some breakthroughs although the opportunities didn’t come as many as they are now, after I made a move to CravingTech.com. So try to be professional as much as you can, but don’t stress too much if you can’t. This may sound wrong but like a job interview: you need to “sell” yourself and your blog. Make a physical list (or in thoughts) about the achievements you’ve made in the past and also your best related product reviews. It’ll be even better if you can show that you have reviewed a brand’s product in the past. If you don’t have anything to brag about, then you might want to hold off sending that email for now. Imagine hundreds of “just ordinary” blogs sending you an email and asking to review your product? I guess you know what you’d answer and which one you’d pick. If you haven’t had any reviews in the past, write one now! It is hard when you can’t show them your writing style and your reviewing skills. At times, these will improve of course, but you need to have the basics right (honestly, I still feel ashamed every time I read my 2-year-old-review posts). If you can’t afford to buy a new item for the sake of having a review, just review what you have. For example, if you want to review that new coffee maker, review what you have now. If you don’t have a coffee maker, review something similar (like a juicer or a tea maker, perhaps). If you cannot find anything similar, try reviewing a product that is still in line of the brand. Big companies normally have a PR agency (normally outside of the company) to handle all their marketing and press releases, including distributing products to review to the reviewers. You’ll most likely get a reply from them, even if it is a no (it’s their job to investigate who you are and whether your blog is worthy enough to impress them/their client). If you can’t find it (sometimes it’s not so obvious), try to find a Press contact at the brand’s website. Have you got all these? Then it’s time to write that email! Stay tuned for this weekend to find out how to write an email to ask for products to review!